The average price for this game in the past 6 months is $11.22. The game first became 50% off on Dec 11, 2017 at Fanatical. Lowest historic price was $9.17 on Mar 20, 2019 at Fanatical. The Surge never quite took off but if you enjoy Dark Souls and want to see it in a sci-fi format, this is worth checking out at its historic low price of $21.59. Steam key. The Surge on PC Download hits a new low today at NewEgg. Gets a mixed or average reviews on Metacritic. The Surge has had its official release date reached and so the big 24% discounts have dried up everywhere. 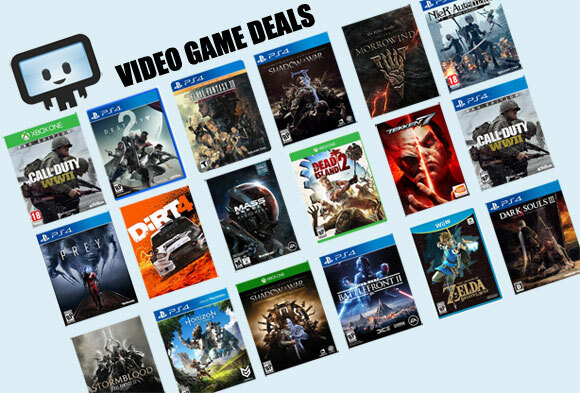 Most discounts are 15% off except at DLGamer who is still chugging along with the best price online 20% off. The Surge was suppose to be out tomorrow on PC but has already gone live on Steam a few hours early. GMG has a 24% discount to $38.24. Aggressive for a release day discount on a game being dubbed Dark Souls in a Sci-fi setting. Relatively positive review from Downward Thrust. Deck 13's The Surge arrives next week Tuesday and the game is on sale for Steam Store at 10% off during pre-order phase. But why settle for 10% off when you can score 24% off at GMG? The Souls-style sci-fi action RPG will also be available on the PS4/Xbox One, though we haven't really spotted any noteworthy deals in that department. The average price for this game in the past 6 months is $9.99. The game first became 50% off on Nov 8, 2017 at Microsoft. Lowest historic price was $9.99 on Mar 14, 2019 at Microsoft. The average price for this game in the past 6 months is $14.99. The game first became 50% off on Nov 1, 2017 at PlayStation Store. Lowest historic price was $12.49 on Jun 23, 2018 at PlayStation Store. Deal requires Xbox Live Gold, otherwise $28.